Every business is unique. Over the years we have worked on websites for small mom and pop businesses, tourism operations, business to business and business organizations like Chambers of Commerce, industry, real estate and other services. We create a website that represents the uniquness of the business, serves their existing and potential customers when required. We are also sensitive to the clients abilities and time to keep the website current in terms of information with custom applications to make that job easier. In many cases, business owners will use our webmaster support to make sure they are putting their best foot forward online. 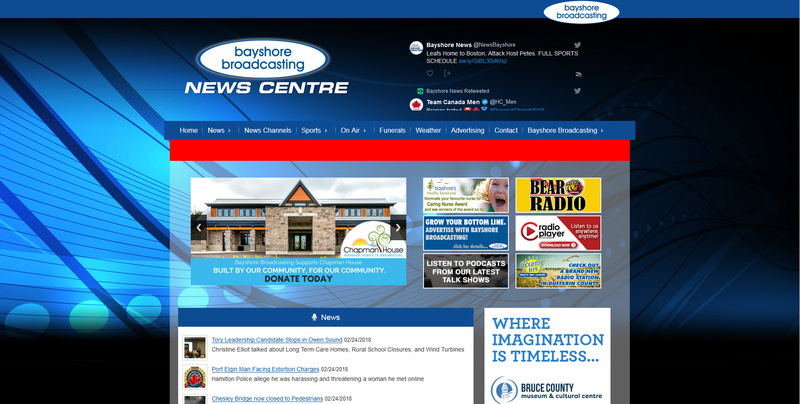 A network of radio stations in southern and central Ontario. This site is the central news hub for the region, including sports, funeral announcements, surveys, local channels and more.